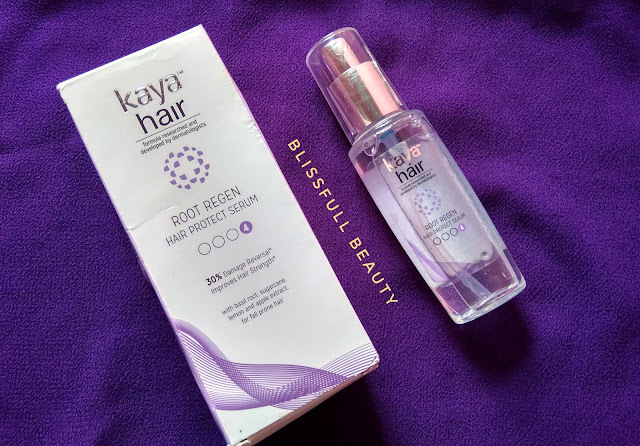 Hello everyone, Today I am reviewing one of Kaya's Product which is Kaya Hair Root Regen Hair Protect Serum. Already reviewed Kaya's hair oil and shampoo on my blog. Enriched with a complex of basil, sugar cane, lemon and apple extract which is known to reduce hair fall and breakage. 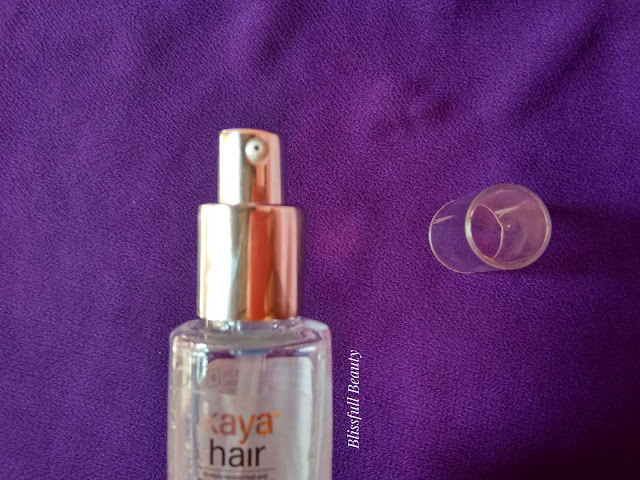 Kaya Hair Protect serum is a light and easy absorbing serum which nourishes hair root strengthens and restructures hair fibers. 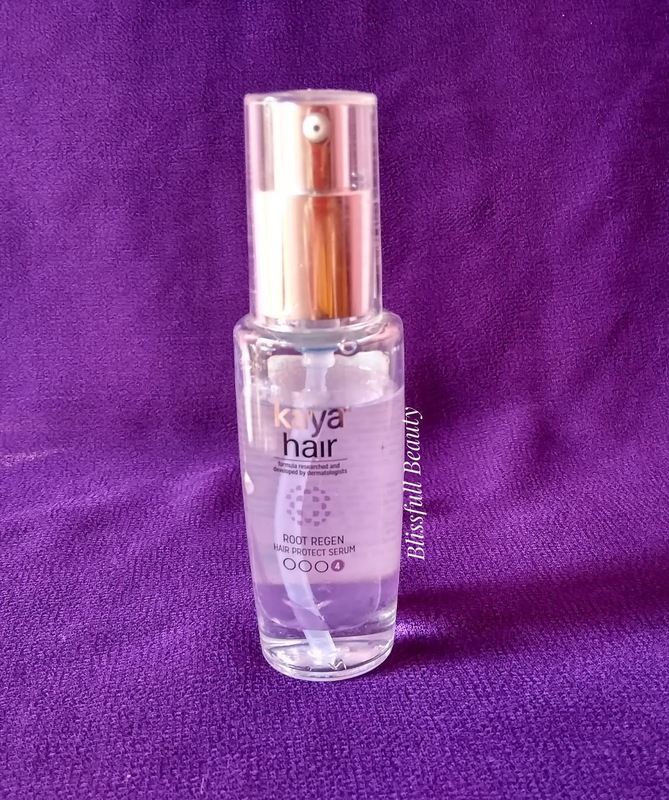 The Kaya Hair Root Regen Hair Protect Serum comes in a cardboard box which is white and light purple kind of color which looks very classy. All details are mentioned in it. The bottle looks transparent and comes with pump dispense which is convenient to use and travel-friendly also. The serum has clear white in color and liquid kind of consistency and basil kind of fragrance. Macadamia, avacode, olive oil, basil root extract these are major ingredients. Shake the bottle well to mix both the phases. Pump the product on the palm of your hand. 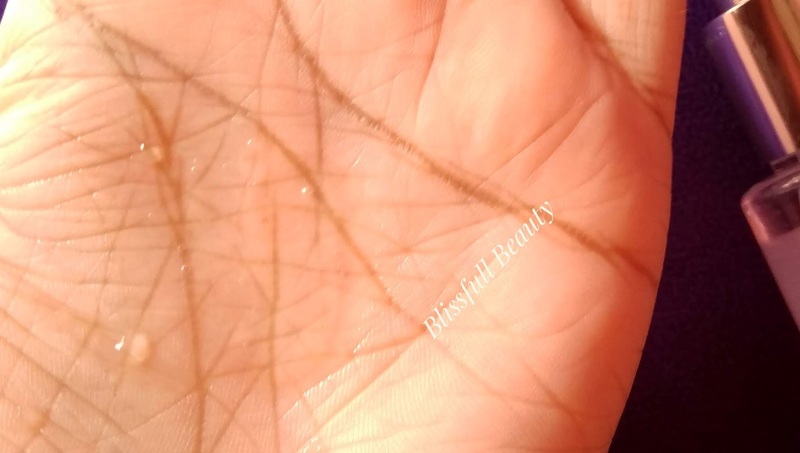 Spread it on the palms and fingers by rubbing the palm against each other. Massage on to the scalp and spread evenly on to towel-dried hair or dry hair. 30% damage reversal and improves hair strength. ➡Contains very good and natural ingredients. I apply it on my towel dried hair after using the kaya's root regen shampoo and conditioning. I used two pumps of my hair. After applying on my hair i feel my hair is smooth and tangle-free when I am combing my hair. 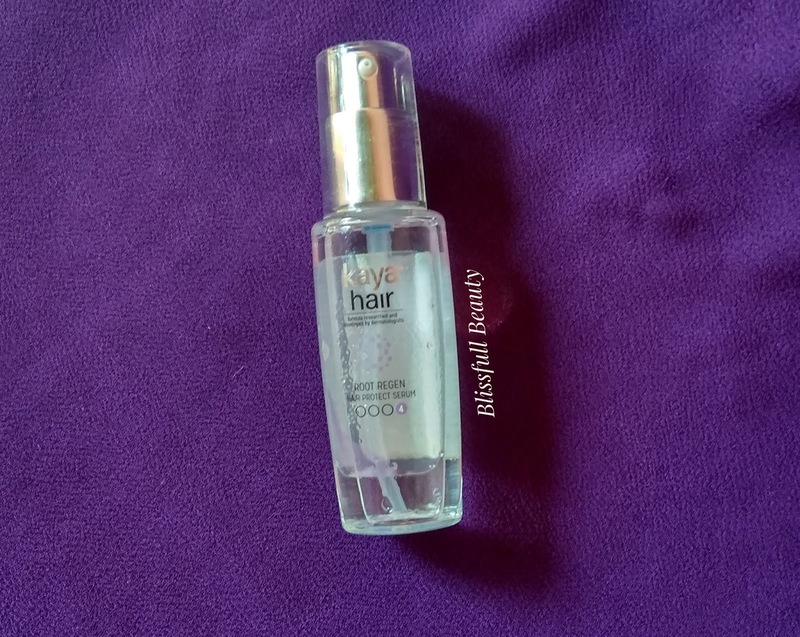 It is very lightweight and nonsticky serum which I liked most. I liked the fragrance. As the price is very expensive I expected more than that. Macadamia, avacode, olive oil, basil root extract these ingredients are good for hair.